Imagine this: You’re a tenured university faculty member with a significant track record in your chosen field of research, and you’ve just landed your dream job — managing a prestigious research institute. Suddenly, you’re responsible for the work of entire teams of esteemed scholars, even perhaps a Nobel Prize winner, whose work spans subjects far beyond your own field of study. It’s an exciting yet daunting assignment that triggers a host of questions. How can you ensure the optimal research productivity of the teams you now lead — whether across units, institutions or national research groups? How can you provide the professional development needed to position early-career researchers for long-term success? And how can you elevate your own skills and expertise to effectively inspire, support and equip acclaimed researchers pursuing leading-edge investigations? Senior research managers seldom step into the job with a ready grasp of these complicated issues, said Dr. Alan Johnson, an emeritus professor from Australia with three decades of research management and training experience. “Although they are usually experienced researchers in their own right, the people who fill these positions also usually have little or no experience in this type of management,” he explains. Dr. Johnson set out to bridge that knowledge gap by compiling the answers to senior research leaders’ frequently asked questions in a 157-page ebook published this month by Elsevier. Improving Your Research Management is a thoroughly documented guidebook with common-sense advice for those tasked with the challenge of leading research teams, or those considering a future role in university research management. “I wrote this book to give a straightforward practical guide to the skills and expertise that people new to the positions will need to understand and ideally practice,” he said, in a recent interview for Elsevier Connect. In this companion volume to the author’s career-planning handbook for early-career researchers, Charting a Course for a Successful Research Career, he pulls from the academic literature and personal experience. 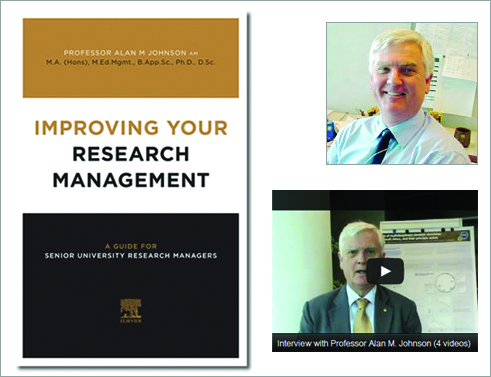 Dr. Alan Johnson, Emeritus Professor at the University of Technology Sydney in Australia, has 30 years of research, research management and research training experience in a range of organizations, including universities, Australian government agencies and international research organizations.He Johnson has published over 100 internationally refereed journal articles and received more than $3.5 million in competitive grant funding. He is an adjunct professor in the Australian School of Business at the University of New South Wales. Throughout, he encourages a holistic approach to improvement and implementation. 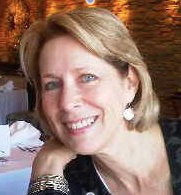 San Journalist Sandra Millers Younger is founder and principal of Editorial Excellence, a writing and editing service for colleges and universities, businesses and nonprofits. She has written or edited hundreds of published articles for publications ranging from academic journals to Seventeen Magazine. She is a former magazine editor and the author ofThe Fire Outside My Window, a first-person, nonfiction account of the biggest wildfire recorded in California history, due out in 2013.